What do you think of my pasta dish? 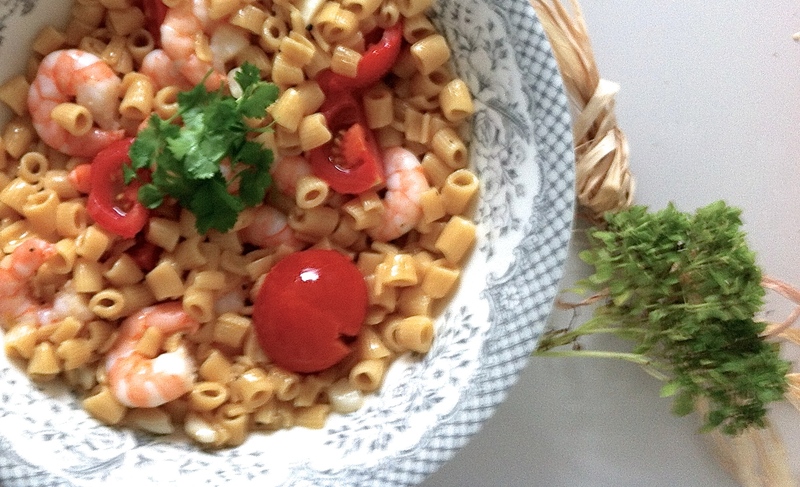 I LOOOOOVE seafood + tomatoes…yum! 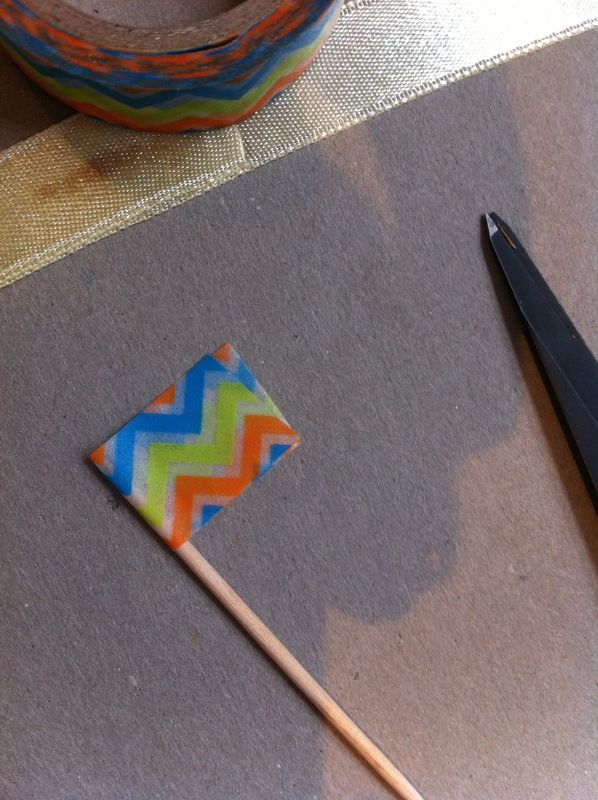 Note: the sharper your scissors, the easier it is to work (but be careful of your fingers! These can seriously cut through skin) I highly recommend the Honey Bee pair- when I first got them, I thought I must be the only idiot paying over £10 for a pair of scissors but they’re so good, I’m actually getting a 2nd pair! 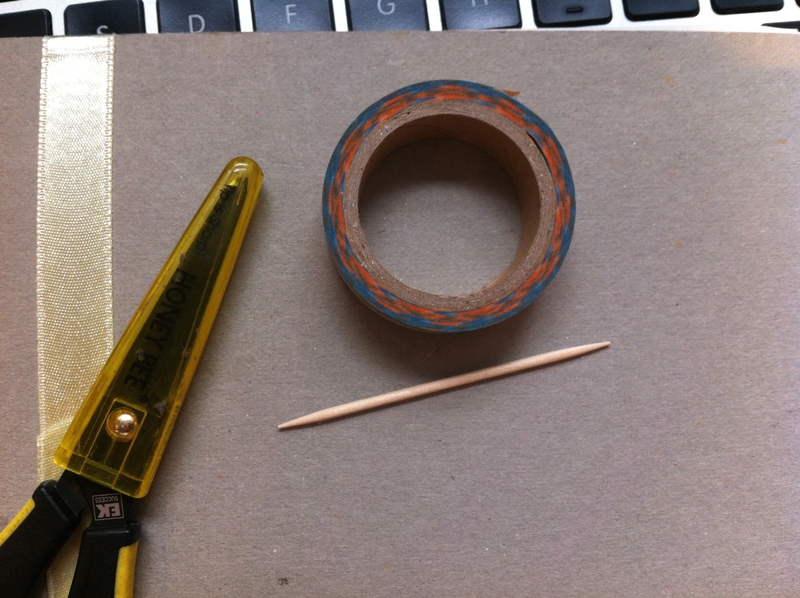 Cut off 3 cm of the washi tape and place the top end of the toothpick in the middle of the tape. 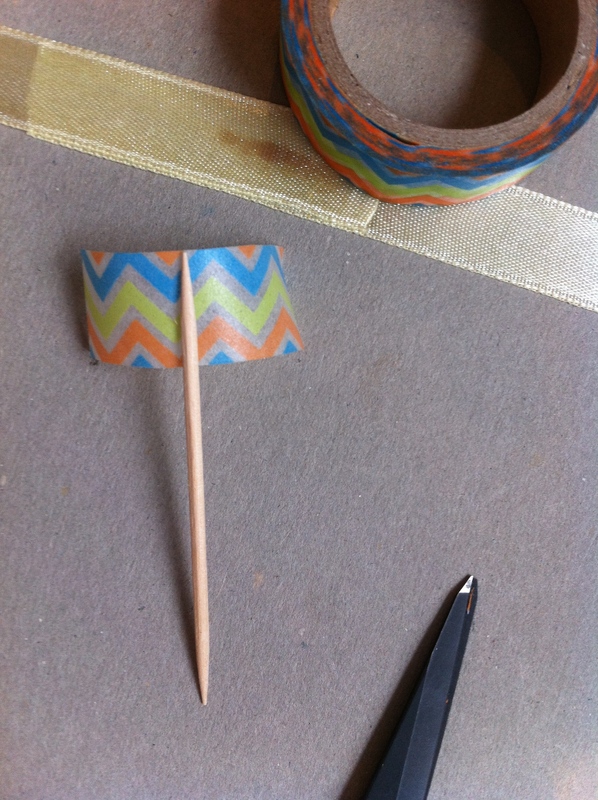 Fold the washi tape carefully, making sure the sides are pressed down edge-to-edge. 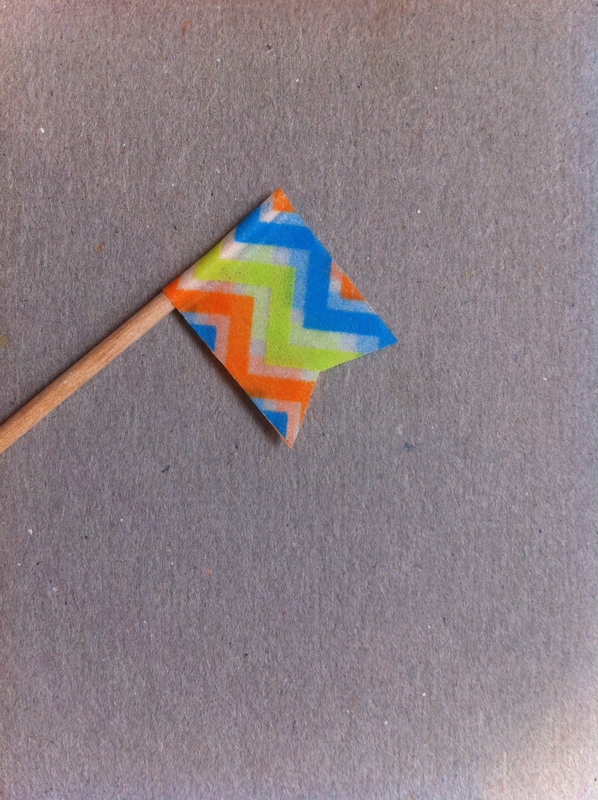 Use the scissors to cut a triangular shape off to make the pattern. 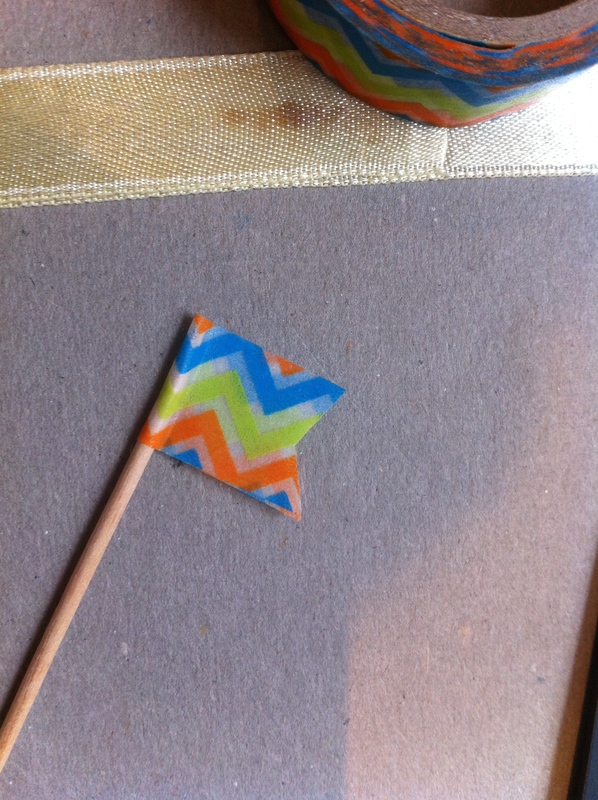 If you’re not steady with your hands, use a ruler and pencil to mark where the middle of the tape is then make sure the top end of the triangle hits that spot. 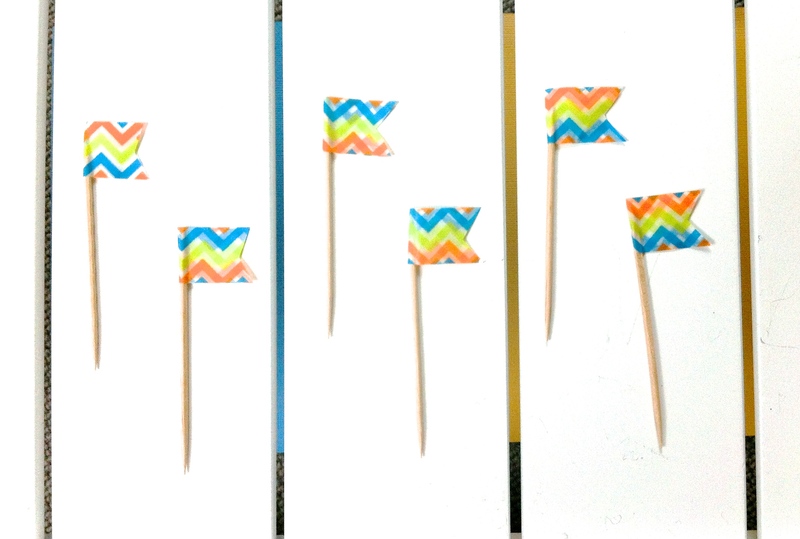 No matter how careful you are, you may not be able to get the washi tape exactly covering each other so use your scissors to trim the excess away.